Ride on lawn mowers for sale in Ireland from AM Rentals. We offer one of Ireland's biggest selection of ride on lawnmowers for sale, all with nationwide delivery. 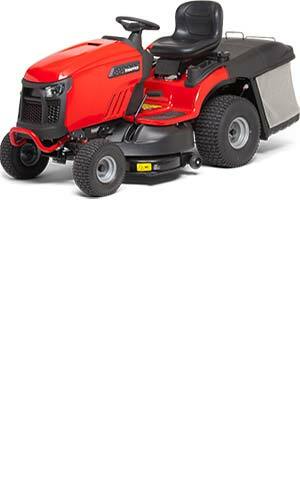 We have every size of ride on lawnmower for sale in Ireland today, from the small rider mowers with 28 inch decks right up to large garden tractors with 50 inch cutting decks and everything in between. 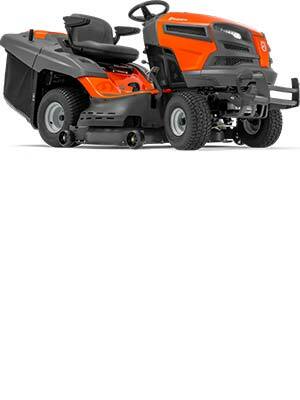 Our range of mowers not only covers every size of garden, but every type of garden. 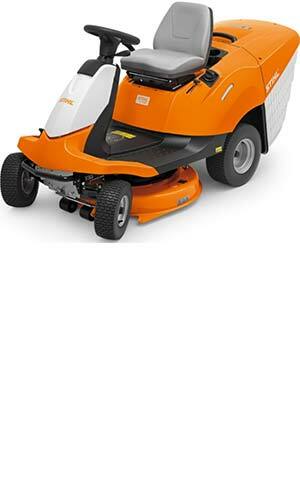 We have a range of mowers suitable for different gardens. 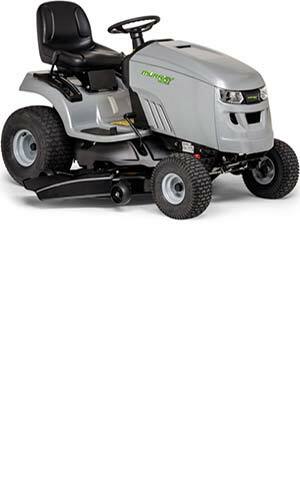 For large open gardens a large garden tractor would do the job, for smaller complex gardens then perhaps a Husqvarna rider with it's ultra maneouvrable articulated chassis would be the choice, they're great for mowing around trees and flowerbeds. 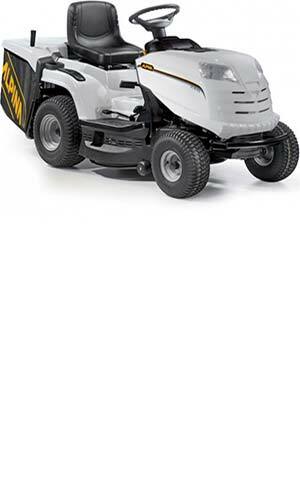 We also have a selection of four wheel drive ride on lawnmowers, including the Husqvarna rider range and the Atco 4 wheel drive garden tractor. We have all the choice you could need under one roof, call into our showroom to see our range in person or order over the phone today on 028 3026 6665 or from ROI 004428 3026 6665. 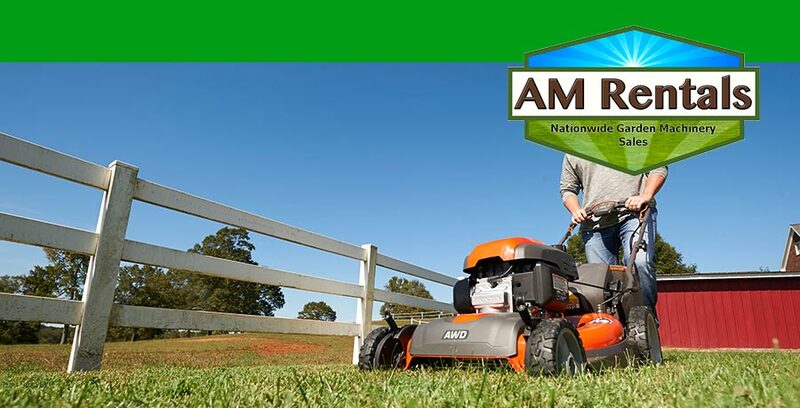 At AM Rentals we have been selling ride on lawnmowers in the Newry area for almost 40 years, an online for nearly 15 years. This experience has taught us to only sell the best, most reliable brands. 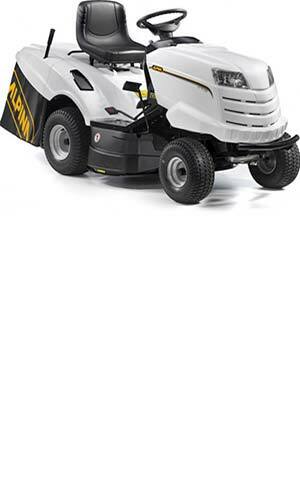 We have tried many different lawnmower manufacturers over the years and have taken great care in selecting which mowers we will sell to our customers. For this reason you will only find brand name ride on mowers that have a tried and tested pedigree on the Irish market, we stay away from any brands we don't think live up to your (or our) expectations. We are proud to sell the following quality, trusted ride on lawn mower brands in Ireland: Husqvarna, Stihl, Snapper, Murray, Alpina, Atco, Lawn-King MTD, Honda and more. We are able to deliver any ride on lawn mower to anywhere in Ireland, call us today for a quote. 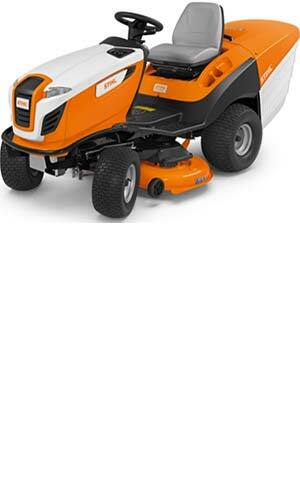 Husqvarna ride on lawnmowers for sale in Ireland from AM Rentals. Get the job done, no matter what with Husqvarna tractor lawnmowers. 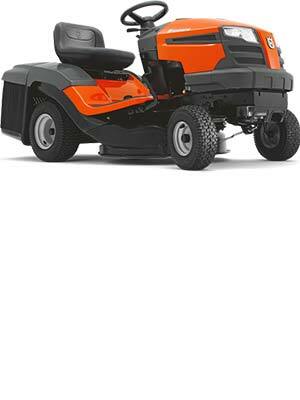 This dependable range of ride on lawn mowers are our biggest selling range. 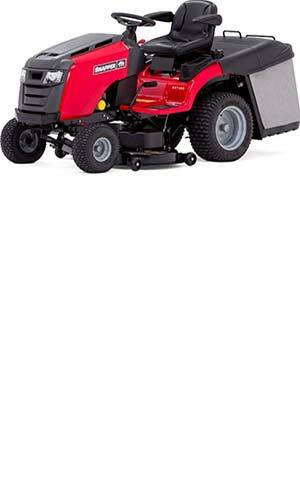 All mowers feature either a Briggs and Stratton engine or a Kawasaki engine and all come with a strong powder coated steel deck. 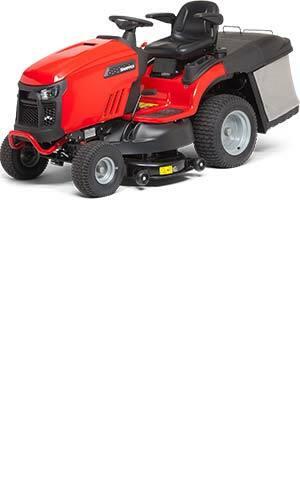 This extensive range offers a mower for all budgets and needs. 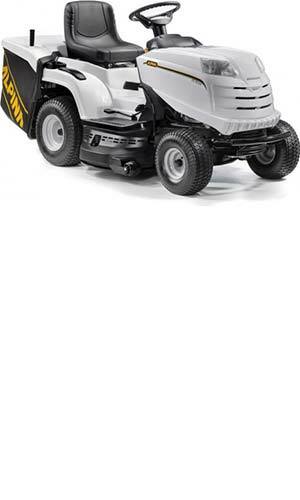 From the entry level TC38 manual ride on mower up to the ultra high specification Husqvarna TC342T tractor mower there is sure to be a model to suit your lawn. We can deliver our Husqvarna ride on lawnmowers to anywhere in Ireland, call us today for a quote or to arrange delivery. 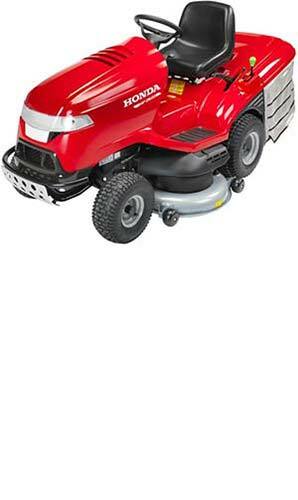 Snapper ride on lawn mowers for sale in Ireland. We have been selling Snapper ride on lawnmowers since we first opened in 1980, infact our first ride on we ever sold was a Snapper! 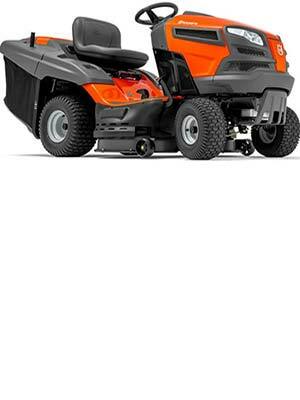 The Snapper brand is now owned by Briggs and Stratton, the renowned engine manufacturer. All Snapper ride on lawnmowers are made in America to the highest standards. They are known for their build quality and robust design. As you would imagine with an American made mower they are chunky and powerful machines. 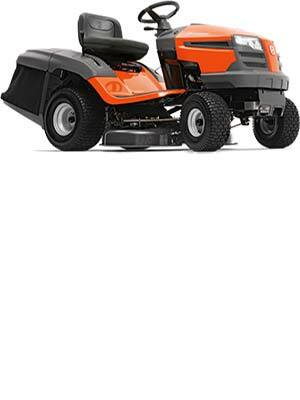 The range of Snapper mowers are high end and high specification. 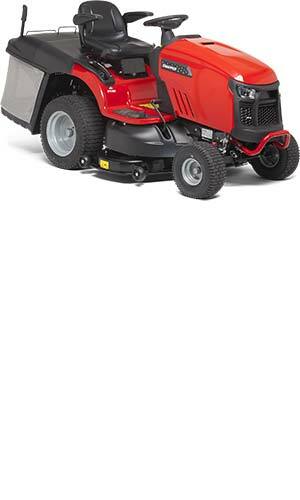 Snapper mowers are fitted exclusively with Briggs and Stratton engines, most come with powerful V-Twin engines that provide ample power when required. We can deliver your brand new Snapper ride on lawnmower to anywhere in Ireland, call us today for a quote and to arrange delivery. Stihl have been making ride on lawnmowers under their Viking brand for about 30 years. From 2019 they have decided to rebrand the entire range under the Stihl name and colours. Stihl lawn tractors combine reliable quality and excellent innovative technology. This is demonstrated by excellent cutting performance and superior handling, ensuring a comfortable drive and easy operation. Down the years the Viking, now Stihl, ride on lawnmowers were known for their excellent build quality, great specifications, ease of use and great design. 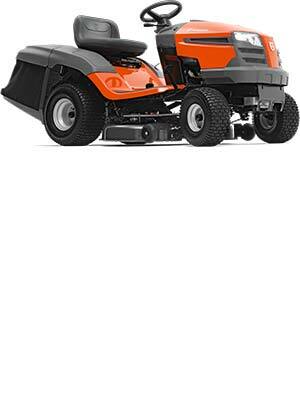 Each mower is designed in Germany and built in Austria to exacting standards. We can deliver your Stihl ride on lawn mower to any where in Ireland. 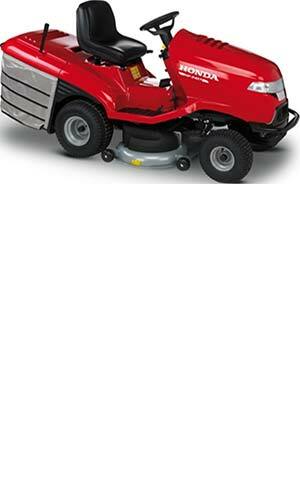 Honda lawn tractors are a premium ride on lawnmower for sale in Ireland. Honda have long been established as amongst the best lawn tractors available in Ireland. 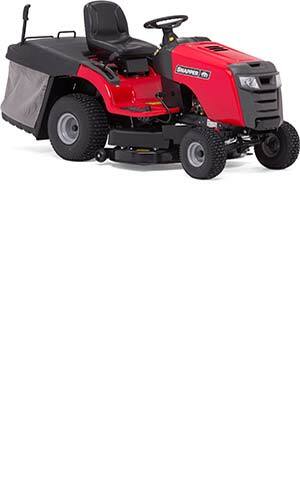 At AM Rentals we supply two models of Honda ride on mowers, the extremely popular HF2417HME and the large HF2622HME. Both models are powered by twin cylinder Honda engines and both come with built in mulch kits - lever operated from the seat and both models have the Honda fan assisted collection system for excellent collection even in the wet. Alpina ride on lawnmowers, made by GGP Italy - makers of Castelgarden, Stiga, Atco and Mountfield. 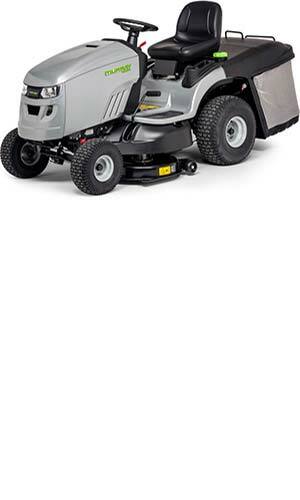 Alpina ride on mowers have been one of the best sellers on the Irish market for many years. Known for their robust build quality, excellent design, ease of use and long lifespan their extensive range covers lawn mowers for all types of gardens, from the small rider mowers right up to the massive 48 inch ride on lawnmowers. The Alpina line of ride on lawnmowers are more popular now than ever with customers who have previously owned Castelgarden or Stiga mowers. The Alpina range offers the exact same spec in striking, stylish colours for a better price. 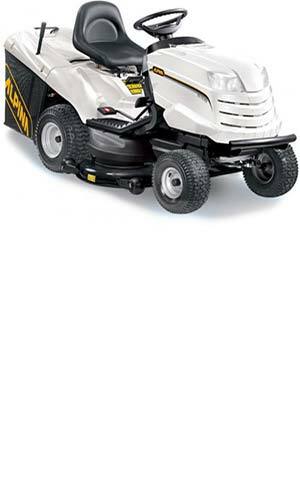 High specification ride on lawnmowers made by Briggs and Stratton in the USA. 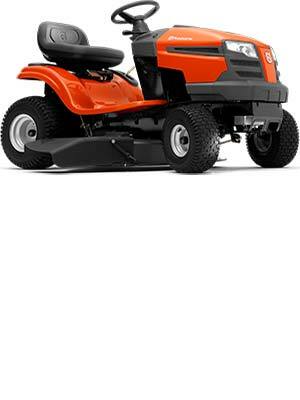 This range of rear collector and side discharge ride on lawnmowers offers an excellent cutting experience with great value for money. 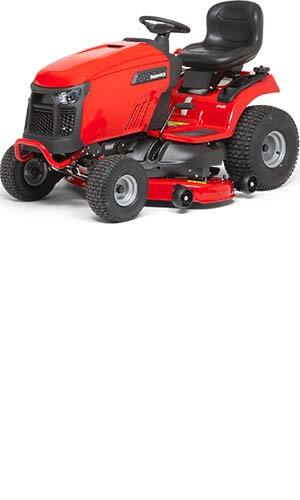 The Murray ride on mowers feature strong Briggs and Stratton engines, hydrostatic gearboxes, all steel panels and strong cast iron front axles. This range of ride on lawn mowers can be delivered to anywhere in Ireland. Choosing the correct ride on lawnmower can be a tough call. There are many different brands out there and a few different types. First time buyers have a few things to consider when buying their first ride on lawnmower. Firstly the size of the garden and type of garden will dictate the size of mower needed. The bigger the garden, generally, the bigger the mower. Large open gardens are well suited for ride on lawn mowers with bigger decks, smaller, tighter gardens are more suitable for smaller, more agile mowers. 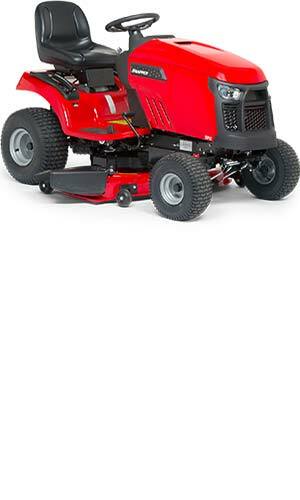 If you have a hilly or sloping lawn a larger, twin cylinder engine would be best to deliver smooth power when needed. Another consideration would be do you intend to only mulch the lawn, leaving clippings in the ground, do you intend to only collecting the grass or would you like the option for both? If you decide on only mulching the grass your options include a side eject mower with mulch plug, zero turn mowers or Husqvarna front deck riders. 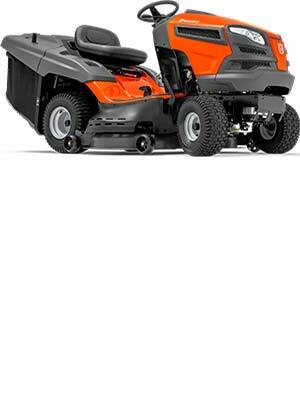 If you want the option for collecting and mulchign the grass then a conventional ride on lawnmower would suit best. They all either come with a mulch plug as standard or one can be bought as an optional extra (whether it comes free or not varies from model to model).